Crystal Black Shrimp, a dwarf shrimp species which is native to Southeast Asia, has become very common within the aquarium hobby. This is because it has a natural appearance and also has selectively bred variants. Crystal Black Shrimp does best in cooler water conditions than the standard tropical aquarium though they can also be easily bred in tropical freshwater community aquariums. Hobbyists keeping Crystal Black Shrimp will keep a group of males and females together away from other fish and invertebrate species inside a customary aquarium. The tank should have lots of hiding places in the form of foliage, ceramic tubes and plants. 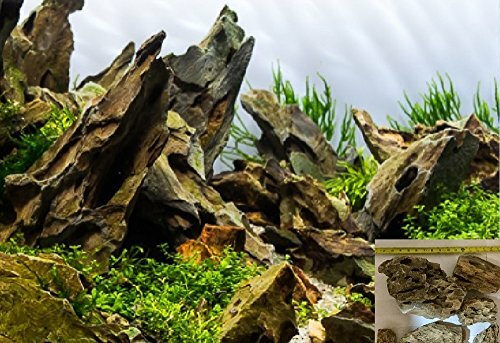 The most specifically suitable plants include java moss, moss balls and Java fern. Anubias and Cryptocorynes are not suitable since their roots produce toxic substances. The tank water should also be free from any kind of copper since it’s very deadly to any shrimp. Before buying any shrimp, ensure that your shrimp aquarium is properly set and has successfully been cycled for not less than a Month. Also consider adding hiding spots within your aquarium to reduce the stress to your Crystal Black Shrimp resulting from Day/night cycles. Just after stocking the tank, they just need to feed after a few days. Later on, they should be fed constantly, if possible on a daily basis with a single scoop of Chi Ebi baby shrimp food together with Ebi Dama. The number of Shrimp in the tank essentially dictates the amount of food to be fed to them. The best food supplements are common vegetables like spinach and Swiss chard once a week. Leftovers should be removed from the tank after a maximum of two hours. It’s advisable for one to feed them with smaller amounts frequently than large amount every few days. Generally, a group of male and female Crystal Black Shrimp will have no problems in breeding as long as the breeding aquarium meets the needed water parameters. Upon maturity the female shrimp develops a horse like saddle between the body and the head where the unfertilized eggs are held. Shrimps carry about 20-30 eggs and the gestation period lasts for about 30-35 days after which completely developed shrimplets are released. Breeding these juvenile shrimps is definitely trickier compared to that of neocaridina sp. due to the fact that females of this species generally carry fewer eggs. You may not get bee shrimps for sale at your local fish shop or pet store. They are more of a specialty where hobbyist and vendors raise them and have them on sale. Crystal Black Shrimp prices greatly depends on the grade, the vender themselves and the variants. I wouldn’t recommend the lowest price on a bee shrimp but at the same time don’t think paying more will give you the best quality shrimp in the world. Here is a list of venders I would personally recommend to buy from.